City officials say they sought a reasonable balance that respected the trucks’ important role in the city, while reducing some of the negative impacts. City council to discuss whether to keep the city’s jail contract with U.S. Immigration and Customs Enforcement. About 26,000 calls went unanswered in January, according to the union for social services eligibility workers. In response, Supervisor Shawn Nelson has pointed to the fact that Sacramento returns a very low portion of property taxes to Orange County. 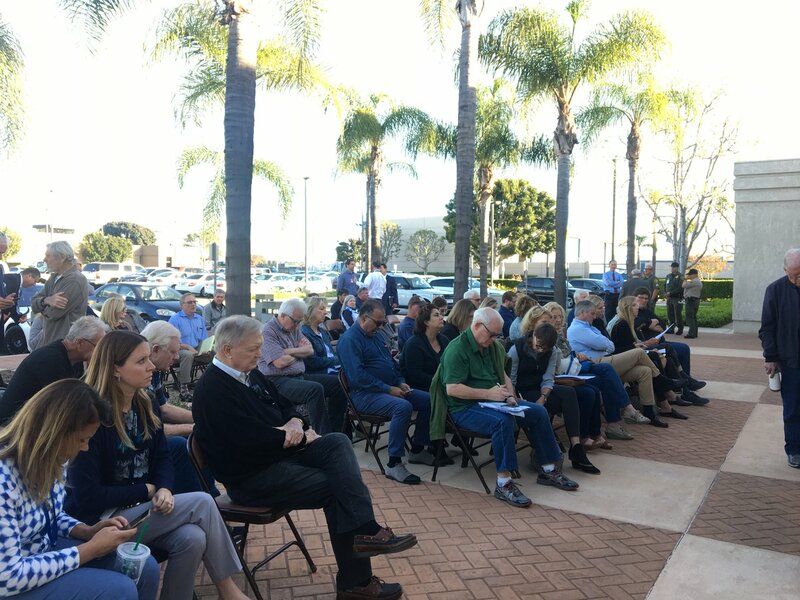 Members of the public raised concerns about a shortage of housing options for homeless people, a troubling county economic future, and alleged improprieties by supervisors in choosing a major airport contractor. Following the ouster of City Manager David Cavazos, expect changes in how the police department is managed, budget dollars are allocated, and the kind of leader the city will have atop its bureaucracy. Supervisors lambasted top airport officials for what they consider poor management of lucrative airport contracts for private plane services, and then rejected the staff recommendation for a big contract. Orange County supervisors announced Tuesday that they’ve picked Gary Schons, a prosecutor with decades of experience investigating public corruption in Southern California, to head the county’s Office of Independent Review. Immigrant advocates packed the council chambers this week, largely to thank the council for their actions. But they also lamented that the city won’t act quickly to end its contract to house federal immigration detainees in the city jail. An effort led by Mayor Miguel Pulido to remove City Manager David Cavazos continues, with Cavazos’ “dismissal/release” on the closed-session agenda. Neighborhood activists are planning to show up and protest the ouster effort.